In 2015 the firm registered a turnover of over 14 million euros for yet another year. Madrid, 1 June 2016. 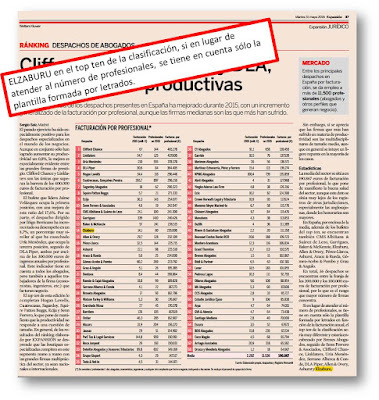 Elzaburu once again figures among the most prestigious law firms in Spain according to the ranking published annually by the economic and business daily Expansión. 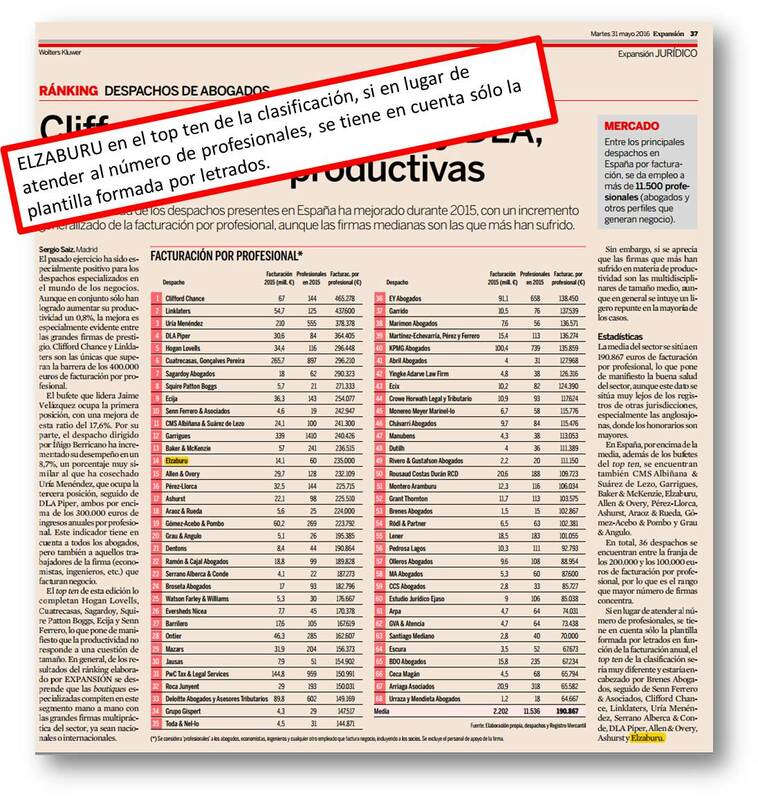 A turnover of 14 million euros positions it among the country’s 20 top rated firms. At the same time the firm has pursued its enlargement plans, increasing the number of lawyers on its staff by 14.3%. Elzaburu is thus among the 25 firms headquartered in Spain which most strengthened their workforce in 2015. Elzaburu ranks fourteenth in terms of invoicing per practitioner with a figure of 235,000 euros. This is significantly higher than the average in Spain, which in 2015 was 190,887 euros per practitioner. In terms of invoicing purely by lawyer, Elzaburu moves up to tenth place on the ranking. Year on year, experience and professionalism have proved to be the twin pillars of the firm, ensuring Elzaburu a place among the best in Spain.